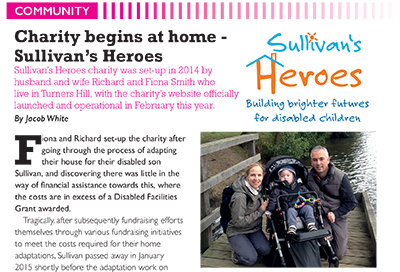 Delighted to see local magazine RHuncovered featuring Sullivan’s Heroes in their October 2016 issue of the magazine. 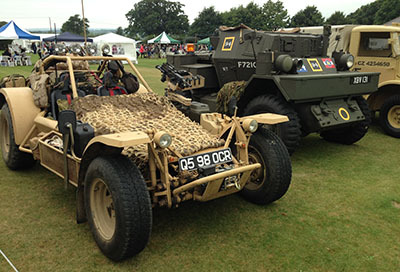 Thank you Fordcombe Village fete-goers who visited the Sullivan’s Heroes stand on Saturday, 17th September. Despite a slightly chilly afternoon, the rain fortunately held off and the crowd was entertained by various activities from vintage cars and armoured vehicles, to tug-of-war, maypole dancing and the dog with the waggliest tail competition! 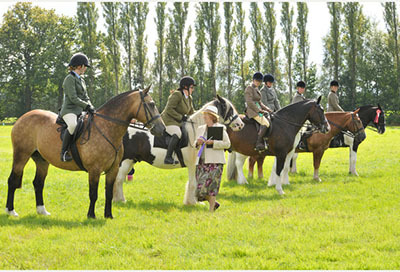 Our thanks to Dormansland Horse & Dog Show and all the show-goers who supported Sullivan’s Heroes on Sunday, 4th September. The horses on show all looked magnificent, and equally as pretty and sparkly was the jewellery on display on our stand! 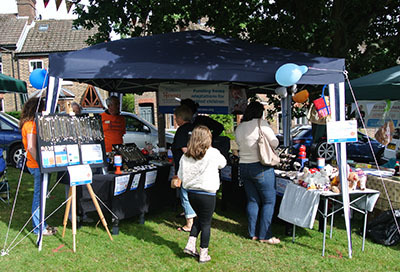 Thank you to everyone who joined Sullivan’s Heroes at the Crawley Down Village Fayre on Saturday, 3rd September. The sun shone amidst a little rain and a lot of wind – but that didn’t dampen the spirits of the fair-goers, or indeed the flames of the fire-eater!